After three years of stalled progress, New York subway riders will soon be able to surf the Web via free Wi-Fi. Transit Wireless, a conglomerate of wireless and construction companies that was awarded a contract back in 2007 to embark on a Wi-Fi project with New York Transit, has come up with the money it needs to move forward with the project. Broadcast Australia will foot the bill that is expected to cost $200 million. As part of the deal, Broadcast Australia will take a majority stake in Transit Wireless. In 2007, Transit Wireless promised to complete the job in 10 years. 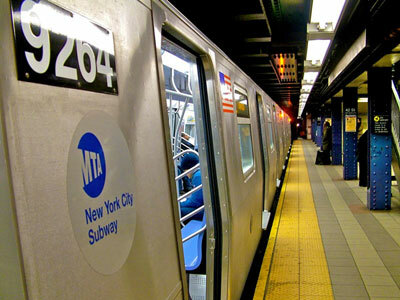 Now, it will have two years to wire six subterranean stations near 14th Street on Manhattan’s West Side to transmit mobile-phone signals to passengers on the platform. It will also have as many as four more years to complete the remaining 271 underground stations. The Wi-Fi will come by means of smoke detector-size antennas which Transit Wireless will begin installing within the next two months. Once the project is complete, riders will have mobile service on the platform, mezzanines and portions of the tunnels. Because the work on the subway system is limited to the platforms, it is not expected to interfere with regular train service. As early as this fall, car passengers and anyone else who happens to be within 400 feet of Internet-enabled vehicles may be able to surf as well. 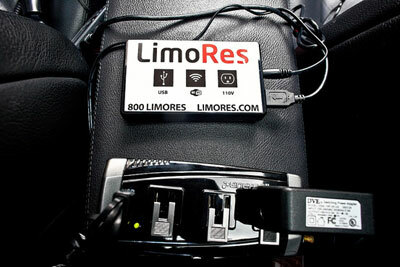 Venture capitalist Alex Mashinsky plans to outfit 1,000 livery cars in New York City with free, ad-supported Wi-Fi. The mobile hotpots will enable car passengers as well as anyone who is within 400 feet of the Internet-enabled vehicles to surf the Web. In the beginning, cars from LimoRes Car & Limo Service, UTOG Corporate Car Service, and Velocity Limo will get the Wi-Fi service. Eventually, Mashinsky hopes to be able to offer Wi-Fi beyond just the inside of cars. Since livery cars idle extensively, many people on foot will be able to take advantage of the initial free Wi-Fi offering. Once a person walks beyond the range of the hotspot, however, the individual must find a new hotspot or stop surfing. Mashinsky hopes next-generation wireless technology will address this and make it easier for cars to provide Wi-Fi to the streets of Manhattan. Who Said the Parallel Port Was Dead?